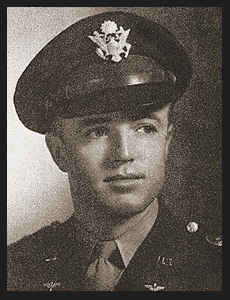 1st Lt. Ralph P. Roe, son of W. G. Roe; husband of the former Sophie O. Ozga. Entered Air Corps in April, 1941, trained in Chanute Field, Ill.; served in Australia, New Guinea, Guadalcanal, the Admiralties, the Philippines, Okinawa, Japan; is now on inactive reserve. Awarded Asiatic Pacific Ribbon.